, spinel, hard alloy etc. Business Description: We produce synthetic sapphire and ruby. Mainly specialized in synthetic sapphire(Al2O3) and ruby products, The technology research institute of the factory is most creative in the trade . It has been engaged in the research, development and manufacture of various jewel products for industry application. The factory can design and manufacture special, standardized and individualized products for customers. At present we can produce over 3000 kinds and specifications of products. 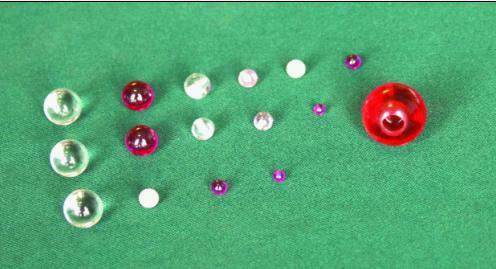 Products mainly include cup jewels, sapphire endstones & windows, hole jewel, rods jewels, assemblies Jewels, nozzle jewels, rectangles jewels, squwres jewels, balls measuring head jewels, balls jewels, special jewels, ceramic component. These products are chiefly applied to accurate measuring instrument, machinery, high pressure water, liquid cutting, laser technology, circuit substrates, sensor, optical fibre communications , textile , medical science , war industry and Aero Space , etc. If there is anything we can do for you, please feel free to contact with us.